The OHAUS MB23 moisture analyser provides accurate results at 0.1% readability. With infrared heating, it is ideal for wastewater, ceramics, food and other applications that require IR heating elements and measurements to 0.1% moisture. 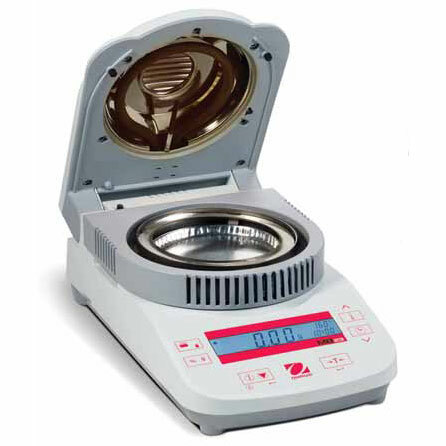 Simple to Operate - Just press and hold the temperature or time buttons to set drying parameters, add your sample and begin the test process.